Everyone knows how amazing an old fashion American cheeseburger can be, but what about that one burger topping that will takes it to a whole other level? There are a few ingredients that are so distinctive they completely change the flavor of the burger and turn into something all its own. We all have our favorites, and we’re positive you’ll see at least one on this list but here are 4 burger toppings that completely change the taste, texture, and foundation of your burger! For rules we’ll assume cheese is interchangeable as that usually comes down to preference, we’ll be sticking to one topping per selection and use a standard bun – let’s save buns for another time! And with that, here are our choices! This one is obvious but is there any other food that completely changes whatever it is in more than bacon? Even the smell is enough to get people excited first thing in the morning and there are different preparations for it. A few of the alterations are: Crispy, juicy, applewood, maple, smoked, or even just the ends and bits. 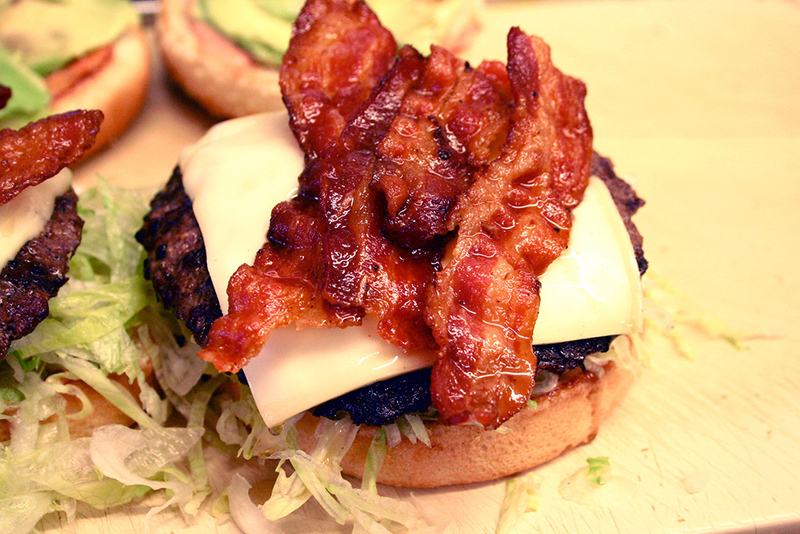 As a burger topping it is a must in any establishment that fashions themselves a true burger joint! This is for when you’re feeling like a real carnivore! Pastrami is an amazing tasting meat that is commonly taken from beef brisket and beef round. It was originally conceived as a way to preserve meat before refrigeration became the norm but has stood the test of time as one of the best burger toppings around. 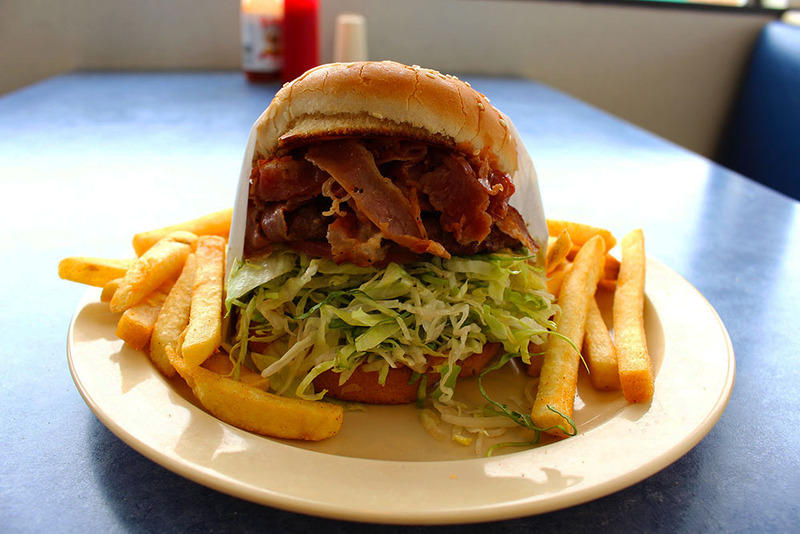 In fact, it’s so good that it has become a deli staple but when added on a burger it becomes a unique, meaty mix of flavors that should not be missed! Now for something without any meat at all! 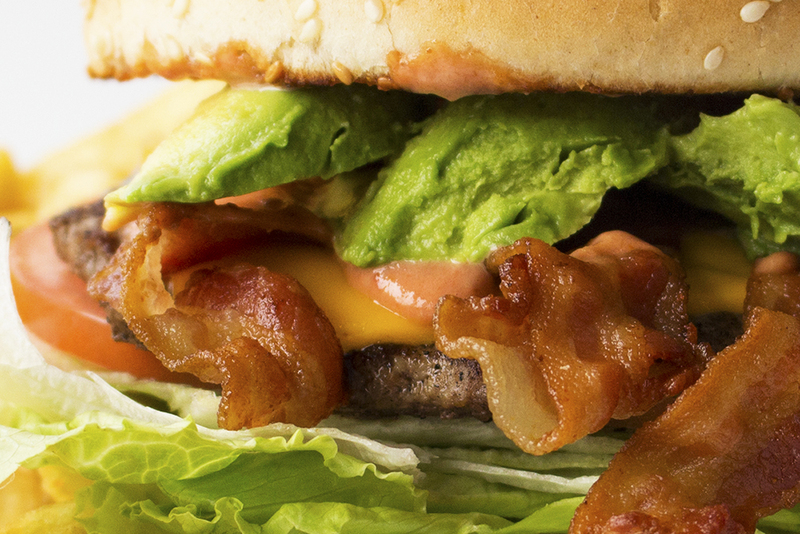 Avocado on your burger is a revelation. A common staple in California, avocado has a unique texture and clean taste that compliments almost anything with a bun and some meat. 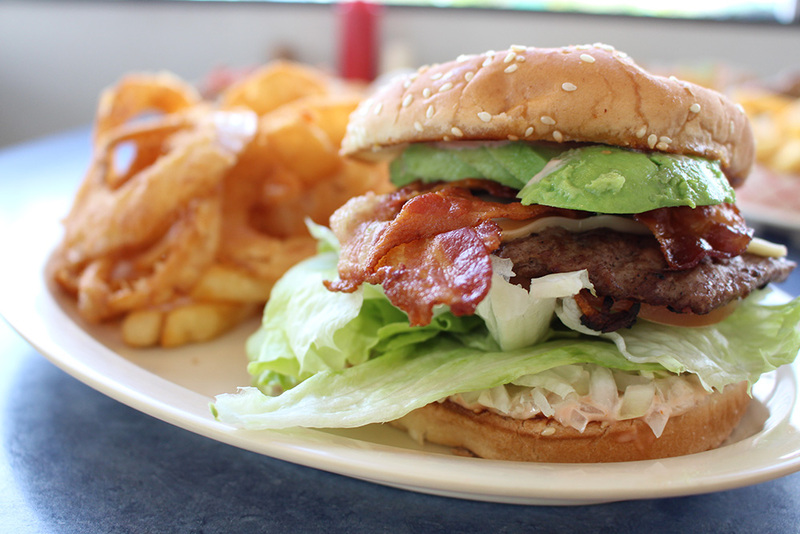 It’s common to pair avocado with a burger that has a unique cheese (Pepper jack or Monterey jack are good choices) and occasionally even some bacon. However, if you just need that extra kick to take your cheeseburger to the next level a simple slice or two of avocado will certainly do the trick! There are few burger toppings that do what chili does. A great stew in its own right, chili is a combination of meat (normally beef), chili sauce with bits of peppers, and occasionally other ingredients like beans, tomatoes and spices. Chili is a beautiful combination of flavors that goes well on its own but particularly with foods like hotdogs and burgers. 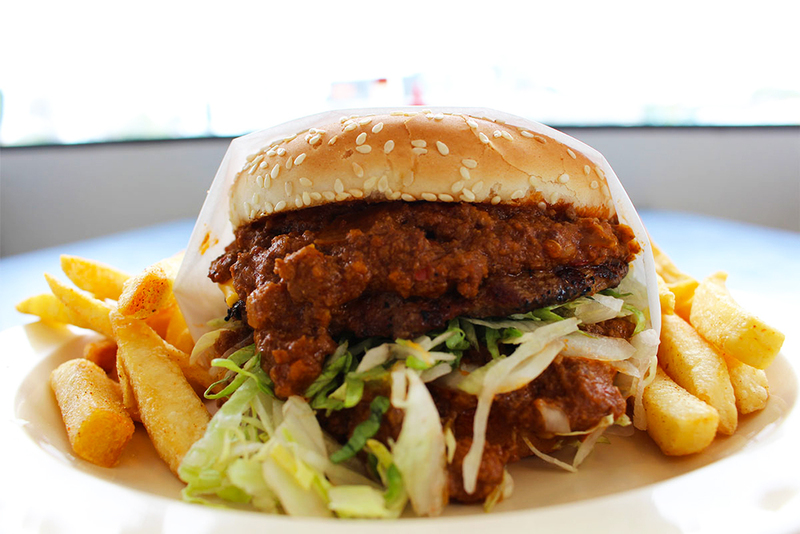 The level of juiciness it provides cannot be underestimated: Chili will turn your burger into something new entirely, and something you’ll be happy to consume when feeling that hunger! We hope you’ve enjoyed this look at some amazing additions to your burgers and if you want even more amazing pictures of such dishes follow us on Instagram and Facebook. You can also come by George’s Burgers today for a taste of the real thing!